Hey you! Thrillist Travel just launched a new channel on Snapchat Discover -- and it’s full of cool places to explore. It’s a whole new way to see the world and if you love to travel you won’t want to miss it. Click here to subscribe and get our stories every day! A lot of travel writers would name Munich as the best place to travel in October -- you know, because of Oktoberfest. But I’m gonna shake things up. This is purely because I think it’s more useful to skip the terribly obvious destinations -- and not at all because my sole Oktoberfest experience ended in police custody (allegedly something to do with me fighting strangers barefoot in traffic) and a fine which remains unpaid three years later (thanks to a canny strategy known as “not going back to Germany”). Not that I bear a grudge. Besides, Oktoberfest is more of a season-long thing, while October specifically happens to be a pretty great month to travel to all kinds of other places. Summer surge pricing has given way to off-season discounts, the air is finally crisp where it was previously swampy, and fall festivals and foliage are in full swing. If you want a Halloween for the ages you can’t do better than Transylvania, a region that leans, like, all the way to its brand come October. There are costume parties in medieval castles and tours themed around Count Dracula and Vlad the Impaler. 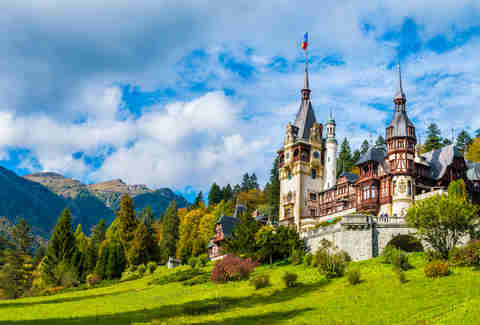 Head into Bucharest and day-trip to medieval Saxon towns like Brașov (where there is also an Oktoberfest; go with my blessing). To go all out (all in? ), sign up for one of the Halloween packages from tour companies like Intrepid Travel, which’ll sort your itinerary for you. 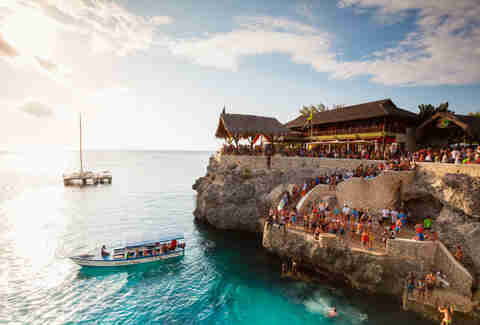 Negril is a resort town at Jamaica’s western tip, the part that houses its famous Seven Mile Beach -- the very best stretch of coastline the island has to offer. Late October is a sweet spot when hurricane season is wrapping up but tourist season has not yet arrived, meaning you won’t spend your time at the beach battling crowds. Try Azul Beach Resort if you want an all-inclusive option in the area, and take a boat over to the world-famous Rick’s Cafe, where you can eat, drink, and jump off a cliff all in one go. Fine, there is an Oktoberfest in Jamaica this month too, but you can also head into Kingston for the Jamaica Food & Drinks Festival, from October 20-28. And under no circumstances should you leave the island without eating your bodyweight in ackee and saltfish. 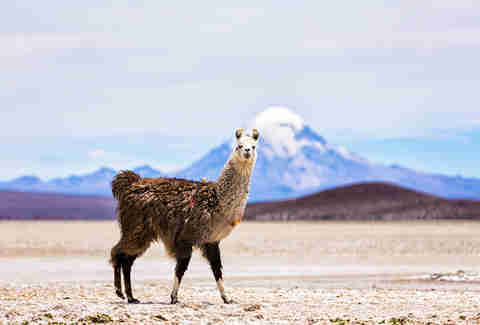 October is springtime down here, and the ideal time to visit the bone-dry Atacama Desert. The thin, moisture-less air makes it perfect for stargazing, which is why the European Space Agency chose to house an array of their cutting-edge telescopes here. Look for a tour that includes a sunset hike to the top of the Moon Valley sand dunes; it feels like you’ve landed on another planet, especially if you spot one of the ESA’s Mars rovers rumbling along on a test-drive. Stay in nearby San Pedro for easy access to the flamingo-speckled salt flats. October 5-7 marks the annual He Sapa Wacipi, also known as the Black Hills Powwow. Thousands of spectators turn out to watch what’s grown into a marquee Native American cultural event, with athletic competitions, singing, dancing, drumming and the He Sapa Win pageant. On October 8, celebrate Native Americans’ Day; South Dakota is the first state to formally institute the holiday in place of Columbus Day. 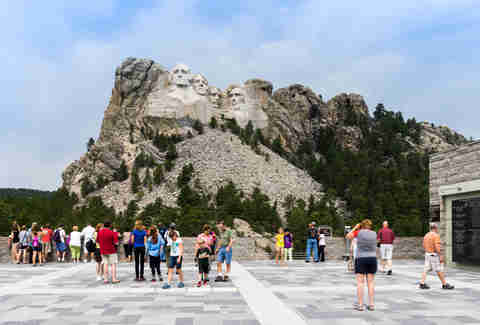 Rapid City itself, a treasure trove of public parks and monuments, is a fantastic base from which to explore the Black Hills, Mount Rushmore, the Crazy Horse Memorial, and the Badlands. Also, peak foliage! Take a drive along the Peter Norbeck National or Wildlife Loop scenic byways. Just like in Jamaica, late October is a sweet-spot between hurricane season and tourist season. 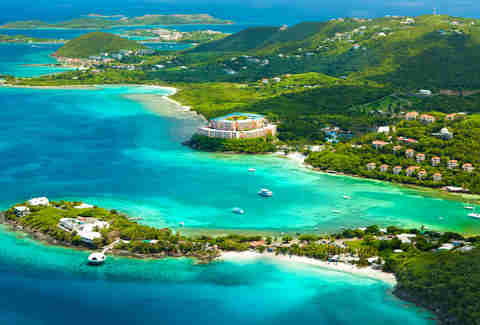 The four US Virgin Islands (St. Thomas, St. John, St. Croix and the newer, lesser-known Water Island) are still struggling to recover from the one-two punch of hurricanes Maria and Irma last year, and need all the tourism dollars they can get. But don’t just go out of the goodness of your heart. St. Thomas is the destination for all pirate-related activities, and when you’re done checking out Blackbeard’s Castle, stop for a waterfront drink at Abi Beach Bar. The legendary trade winds keep the water perfect for swimming. 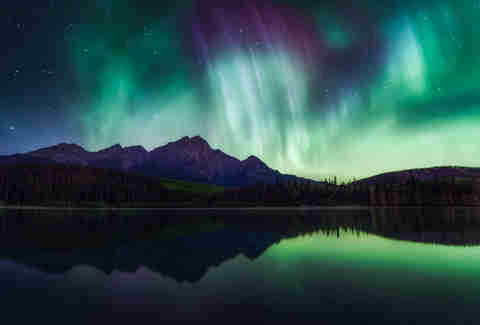 September to May is aurora borealis season in Canada, and there’s nowhere better to peep those solar flashes than at the Jasper Dark Sky Festival, which runs from October 12-21. Jasper has so little light pollution it’s been recognized by the Royal Astronomical Society of Canada, and the festival draws leading figures from the science community each year -- this year the keynote speakers are former NASA astronauts, Scott and Mark Kelly. If you stay at the Fairmont Jasper Park Lodge, you can get a special Dark Sky discount on rooms starting at $182 (USD) a night. Who knows, maybe you’ll like Canada so much you’ll want to move there. Go in the first half of the month and you’ll be there for grape-stomping season -- and we’re talking about the old-school, barefoot, do-it-while-singing-traditional-folk-songs kind of grape stomping here. The end goal, obviously, is to make port -- you can try previous vintages at Quinta da Roêda, or any of its neighbors in the Douro Valley Wine Region. Grape-stomp with your friends, grape-stomp with strangers, but most importantly grape-stomp while drinking. Port, of course, always port. Planning a trip for a different time of year? 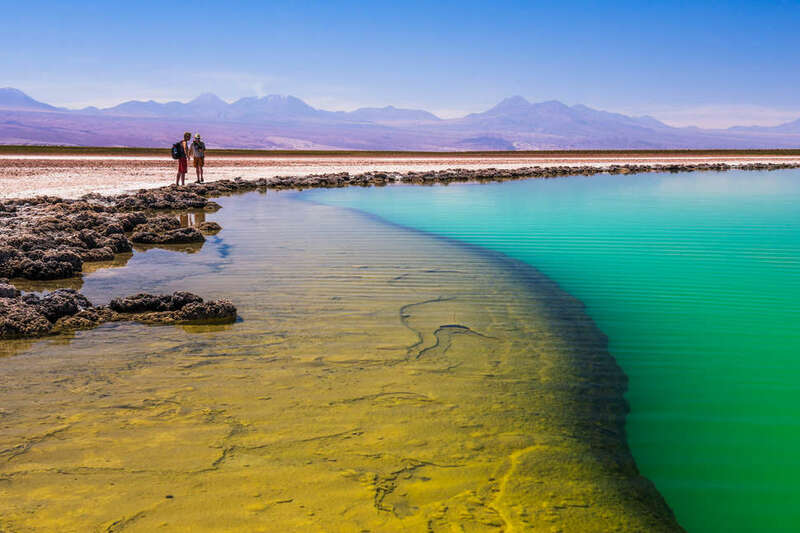 Check out our monthly travel recommendations for the best places to travel in January, February, March, April, May, June, July, August, September and December.